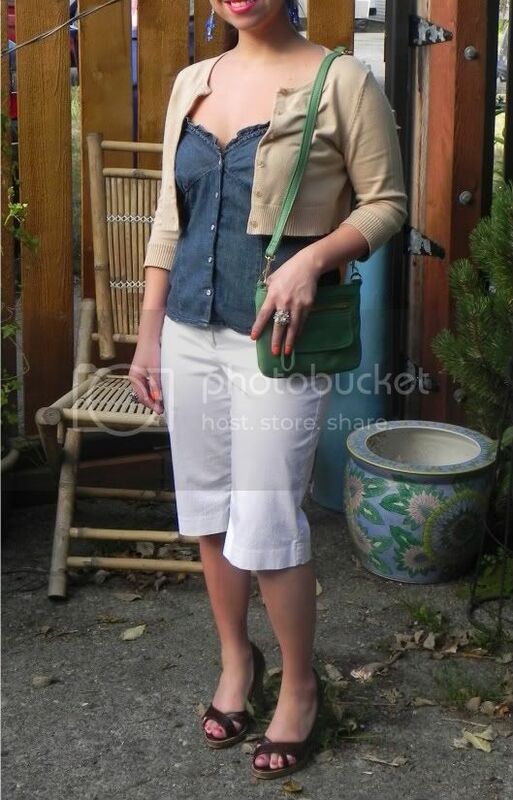 OUTFIT POST: WHITE SHORTS & MY NEW LITTLE GREEN PURSE! You are not seeing things, this is actually an outfit post. I have been meaning to do one, so why today? Well first of all I had to show off my new Linea Pelle purse, its divine. Thanks to The Sale Rack, a wonderful site that posts about online sales - a must follow! Thanks to Nicole, I won this baby through her contest with Linea Pelle. It made my day then and it just keeps making my day every time I use it. So thank you! The other reason I had to post today's outfit is because I wanted to share the very first time (and possibly the last time) I will ever wear WHITE shorts. 2o minutes later as I sat down on the bus, I realized that I would be in a state of panic all day.. thanks to my white shorts. Here's a close up of my new best friend, we will have many adventures together. As for the white shorts, I've decided to live in the moment. No matter what am going to have to sit downand, so if I get something on them well.....I will just keep on living. Please tell me I am not the only one who panics when wearing white? Cute! And I'm amazed by the perfection of your bangs! You are so brave to wear white shorts! Personally, I'd be too afraid of getting them dirty, but they look way cute on you. 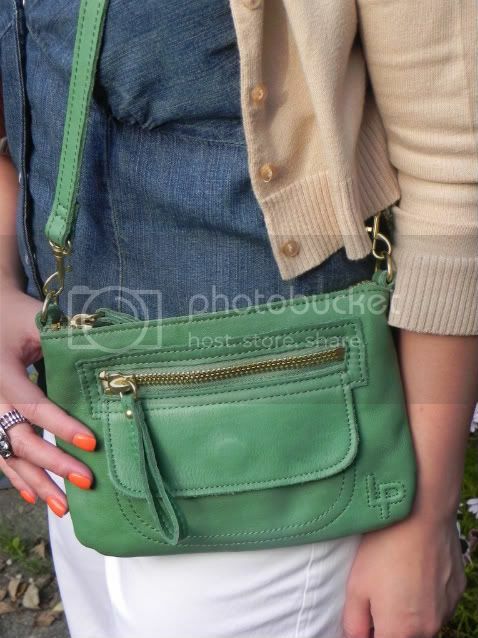 Love the color of your green bag too. You won that darling purse!? You lucky girl! I had white jeans but barely wore them for the same reason and they went back to the op shop only a couple of months ago. I just couldn't do it. They always got some grot, or other, on it.